The Attorney General's Department is asking the Supreme Court to stop NDK Financial Services Limited from making what it termed “unsubstantiated” claim of GH₵1,273,000,000 from the government as judgment debt. The application opposing the NDK's claim is expected to be moved today by Deputy Attorney General Godfred Yeboah Dame. 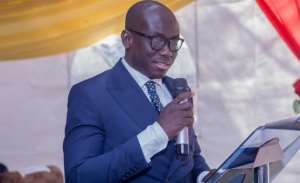 NDK Financial Services Limited in 2009 instituted an action against Ahaman Enterprises Limited, the Attorney-General, Alex Aduko and Aduko Kyeremanteng at an Accra High Court. The Accra High Court entered judgment in favour of NDK, but dismissed its claims against the AG, who acted on behalf of the government. The AG appealed the judgment of the Appeal Court at the Supreme Court which dismissed it. In the latest application, the AG is contending that as far as the government is concerned, it has already complied with the judgment of the Supreme Court, but NDK continues to make 'unsubstantiated' claims for more money. “That the respondent treats a certain sum of GH₵268,250.52 paid by the Ministry of Energy to Ahaman Enterprise without reference to respondent in December, 2008 as part of the “unascertained diverted amounts,” the AG's application averred. The AG is therefore praying the apex court for an order determining that the amount of GH₵79,510,855.06 paid by the Government of Ghana is in full satisfaction of the judgment given by the court.